Terry first joined Evans & Co in June 2017 as an intern after completing his undergraduate law degree at the University of Sunderland. He continued as an intern at Evans & Co whilst studying the LLM Legal Practice Course at the University of Sunderland. 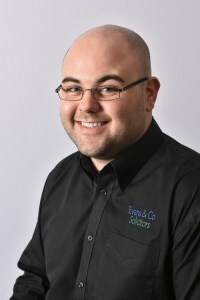 Terry has been a Paralegal at Evans & Co since June 2018 and is due to start his training contract in December 2018. Outside of work Terry is a keen baker and also trains Brazilian Jiu Jitsu.